Earlier this month, state Democrats introduced the “Local Wage Act,” which would repeal legislation prohibiting local governments from establishing their own minimum wage and family or medical leave policies. Rep. Lisa Subeck, D-Madison, Sen. Dave Hansen, D-Green Bay, and Sen. LaTonya Johnson, D-Milwaukee, proposed to give more power to local municipalities in deciding pay raises and family and medical leave standards. 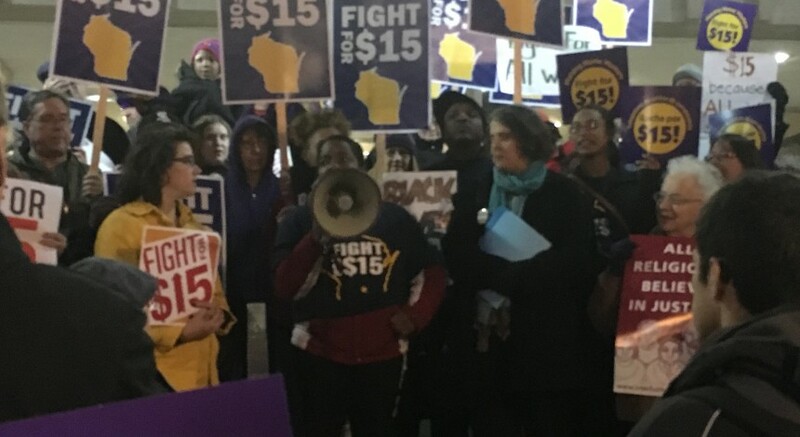 Currently, Wisconsin’s statewide minimum wage is $7.25 and has not been raised since 2009. Subeck and other bill supporters believe current laws fail to acknowledge the difference between residing in various towns and cities across Wisconsin. Based on living costs, a Madison resident needs to make 8.4 percent more than a Fon du Lac resident, according to a press release from Subeck’s office. In addition to giving towns the autonomy to decide their own minimum pay for workers, the Local Wage Act would also function as a backup plan in case current GOP efforts to repeal parts of Wisconsin’s Family and Medical Leave Act succeed. The bill to repeal the Family and Medical Leave Act, which Sen. Alberta Darling, R-River Hills, and other Republican legislators introduced, would unify state paid leave regulations with federal law. According to some GOP Lawmakers, the overlapping presence of both governmental authorities can be problematic for employers. Employers who follow federal family and medical leave laws would not be required to follow state regulations, according to the anti-Family and Medical Leave Act bill. Though supporters claim repealing sections of state FMLA policies would be beneficial, 9to5, National Association of Working Women, has publicly expressed disapproval. The group cited concerns for the impact this bill could have on part-time employee flexibility and on the ability to take medical leave. Subeck referenced the control she believes corporations have had since Gov. Scott Walker was elected to office in 2011. Though declining to comment directly on her stance on the Local Wage Act, University of Wisconsin professor of social work Laura Dresser expressed approval of the ideas it proposed. “I have consistently supported the idea of increasing local minimum wage acts, and the evidence on that suggest the positives in terms of labor market standards are much more important than the downsides,” Dresser said. Dresser believes local power over pay would be most beneficial in cities like Madison and Milwaukee, where the cost of living exceeds other towns in the state. Conversely, she said FMLA repeal bill is an attempt to minimize workers’ rights and maximize employers’ rights by negating state FMLA regulations as long as federal rules are followed. For Subeck, Hansen and Johnson, a main goal of the Local Wage Act is ensuring all who work hard are able to provide for themselves and their families economically and medically.